The months of November and December were long-awaited by all the Shraddhavans as they brought with them the festivals of ‘Shree Aniruddha Pournima’ and ‘Shree Sacchidananda Utsav’, the peaks of joy for Shraddhavans. ‘Shree Sacchidananda Utsav’ is the epitome of “Bhakti-Bhav” for Shraddhavans, which brings unparalleled and pure joy – Chaitanya, as we fondly welcome Sadguru Shree Aniruddha’s Padukas at our homes and revere them with love. We pray to the Sadguru to guide us on the right path and eliminate what is unwanted and detrimental to us. Of late, there is a new sense of joy, excitement and enlivenment in our lives, ever since Sadguru Shree Aniruddha introduced and explained to us the significance of the “Trivikram Bhaktibhav Chaitanya” or the “Trivikram Devotion Sentience”. 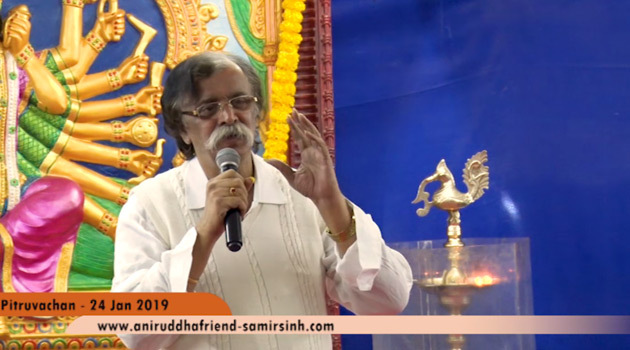 The seed of this joy was planted in us by Sadguru Shree Aniruddha through his editorials in ‘Dainik Pratyaksha’ and his Thursday-discourses (Pitruvachans). The editorial number 1577 is our guide to Bhaktibhav Chaitanya. It also brings to light the grace of Swayambhagwan Trivikram. “Bhaktibhav Chaitanya” is nothing else but pure love and affection towards Swayambhagwan. It is the feeling of He being with me, and I being with Him. Chanting of Trivikram Mantra-Gajar is one of the easiest means to experience this divine grace and bliss. Furthermore, when in Bhaktibhav Chaitanya, one need not focus one’s mind entirely while chanting the Mantra-Gajar. One even need not worry about controlling the six vices of desire, fury, greed, temptation, passion and jealousy; the Mantra-Gajar, which is an all-encompassing mantra of Shree Trivikram, does it for us. Moreover, to further augment and help us develop and nurture the Bhaktibhav, we have received gifts of ‘Music on Demand’ app – ‘Aniruddha Bhajan Music’ and ‘Video on Demand’ app – ‘Aniruddha TV’, launched recently. Aniruddha Bhajan Music provides us with the facility to listen and enjoy Trivikram Mantra-Gajar along with the three albums of ‘Pipasa’. 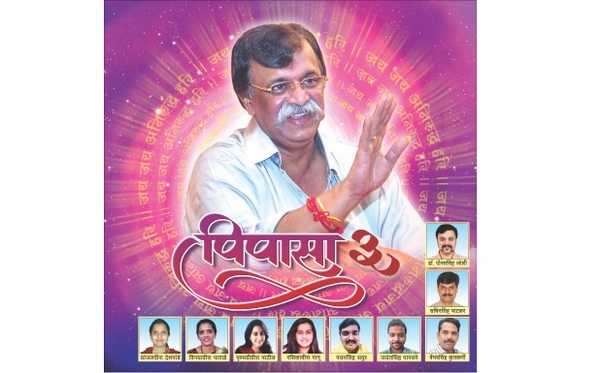 By the grace of Sadguru Shree Aniruddha, we also experienced the launch of the ‘Pipasa 3’ music album which contains the abhangas dedicated to him. Pipasa 3 album comes after the launch of earlier two abhang albums – Pipasa 1 and 2. These abhangas describe to us Sadguru’s glory and are efficient means for every Shraddhavan to soak in Sadguru’s Bhaktibhav Chaitanya. The launch of the app took place during a musical event, in which the abhangs from Pipasa 3 were performed live in the presence of Sadguru Shree Aniruddha. As the technology rapidly gallops across the globe, these apps will help Shraddhavans to keep up with the times and also reach out to a maximum number of people. The ‘Music on Demand’ and ‘Video on Demand’ mobile apps allow everyone to listen and enjoy the melodious abhangs on their mobiles, tablets, and also watch the videos of the mentioned musical event, the attraction of which is watching Bapu listen and enjoy the music compositions. The MoD app – ‘Aniruddha Bhajan Music’ allows users to purchase and even download the songs and listen to them in offline mode. The VoD app – ‘Aniruddha TV’ provides the facility of watching the videos of the musical event for free to the users, who have purchased the Pipasa 3 audio album. The app also provides us with the opportunity to witness Live Events such as Thursday Upasana that are performed at Shree Harigurugram. 1. The AADM conducted a 2-hour lecture on Disaster Management at the request of G.H. Raisoni College of Engineering and Management, Wagholi, Pune. 2. The AADM conducted a course at Vishwakarma Institute of Technology, Pune at the institute’s request, which was attended by 70 students. 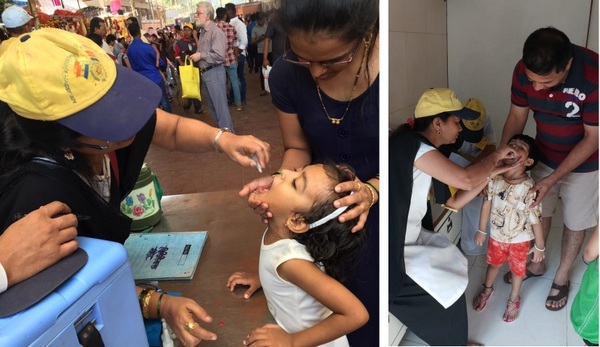 Aniruddha’s Academy of Disaster Management has been assisting the municipal authorities in many cities and towns viz., Mumbai, Kalyan-Dombivali, Thane and Navi Mumbai for conducting Pulse Polio Drives. 83 trained AADM volunteers participated in the pulse polio drive in various zones across Mumbai on 18th November 2018. AADM Corporate Course was conducted at Tata Consultancy Services, Powai Training Center on 1st December. In all total 50 staffers of TCS Ltd. completed the course successfully. 1. 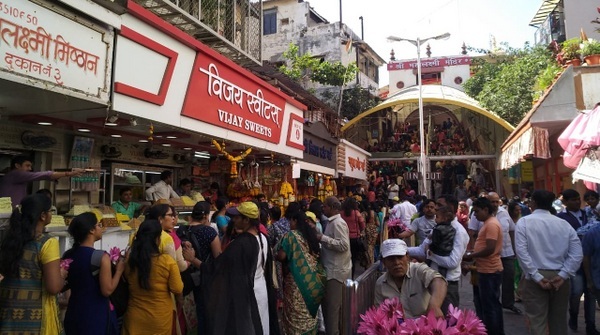 At the request from the authorities of Shree Mahalaxmi Mandir Trust and Gamdevi Police Station, AADM offered the seva for controlling traffic and crowd at Shree Mahalaxmi Mandir, Mumbai during the month of Margashirsh on all Thursdays. 223 Disaster Management Volunteers (DMVs) were present. 2. At the request from the Dattaguru Mandal of Airoli Datta Mandir, AADM offered seva for controlling crowd at Datta Mandir, Airoli, Navi Mumbai on 22nd December 2018. 23 DMVs were deployed. 3. AADM offered seva at Datta Mandir, Sarangkheda, Nandurbar to assist the Trust’s officials and Police authorities in controlling crowd and line management, on 23rd and 25th December 2018 on the occasion of Shree Datta Jayanti. 4. At the request of Shree Siddhivinayak Ganapati Mandir Trust, Prabhadevi, Mumbai, AADM offered the seva of controlling crowd on 24th and 25th December 2018 on the occasion of Angarki. 599 (Male: 277 + Female: 322) DMVs participated in seva to manage the huge flow of devotees. 5. At the request of Shree Siddhivinayak Ganapati Mandir Trust, Titwala and Police authorities of Kalyan Taluka Police Station, AADM) offered assistance to the Trust’s officials and Police authorities in controlling crowd, on 24th and 25th December 2018. 178 DMVs participated. 6. 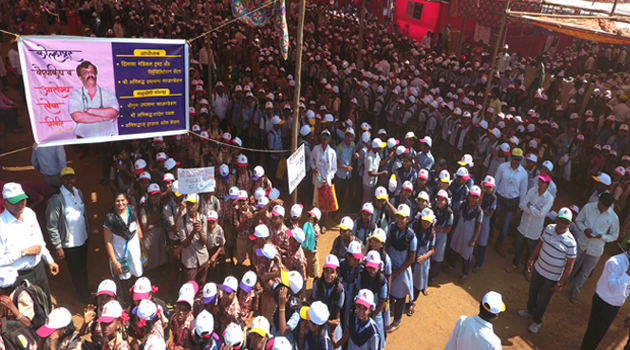 At the request of Jaigad Police Station authorities and Shreedev Mandir Trust, Ganpatipule, Ratnagiri, AADM offered the seva of controlling crowd on 25th December. 94 DMVs participated. 7. 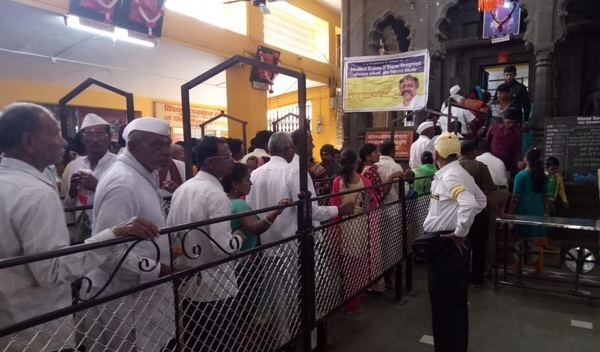 At the request of Shree Ganapati Mandir Trust, Siddhatek and Karjat Taluka Police Station authorities, AADM offered the seva of crowd controlling. 32 DMVs participated.